Stumbling our way around the world. 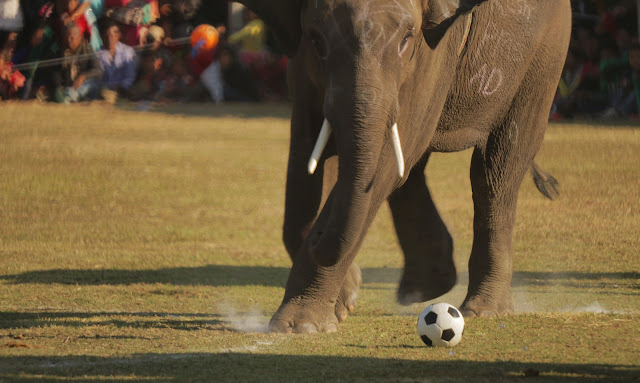 We were fortunate enough to catch the elephant soccer game. The yellow team's goaltender looks down field at the action. Like any good soccer game, there was a streaker. The crowds watching the game. The game ends and the crowds congratulate the winning team. Of elephants. The erector set-esque, hand-rotated rides seemed to be thoroughly enjoyed by the children. Tharu men perform a traditional dance. Tharu women perform one of their dances. We took the bus from Pokhara to Chitwan with a family we met at the hotel. Their 3 year old son Lincoln had a tough time, what with a bit of food poisoning. But he stuck it out and was very good about it. We only had to stop once on the way. We checked into our hotel in Chitwan (the town is actually Sauraha, Chitwan is the national park). And after a quick lunch headed out to see the elephant soccer game. It was pretty incredible. 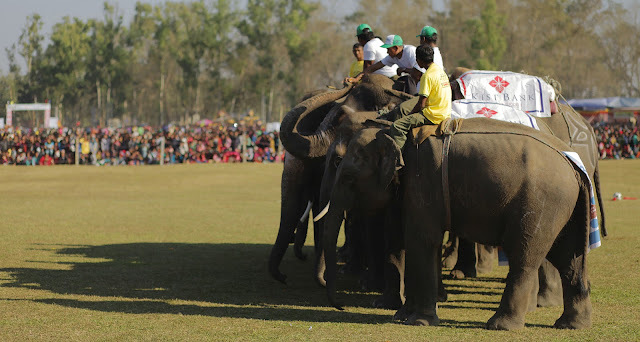 The elephants were surprisingly nimble and good at the game. The white team won, 3-1. No red or yellow cards were thrown. 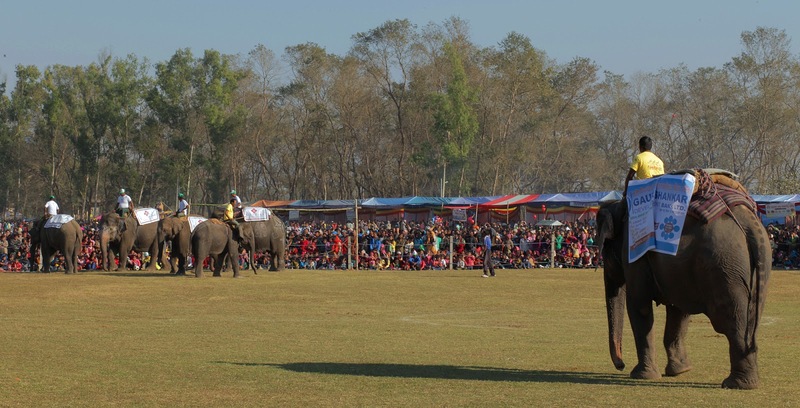 The game was part of the larger International Elephant Races held every year here in Sauraha. In the evening we attended the Tharu culture program. 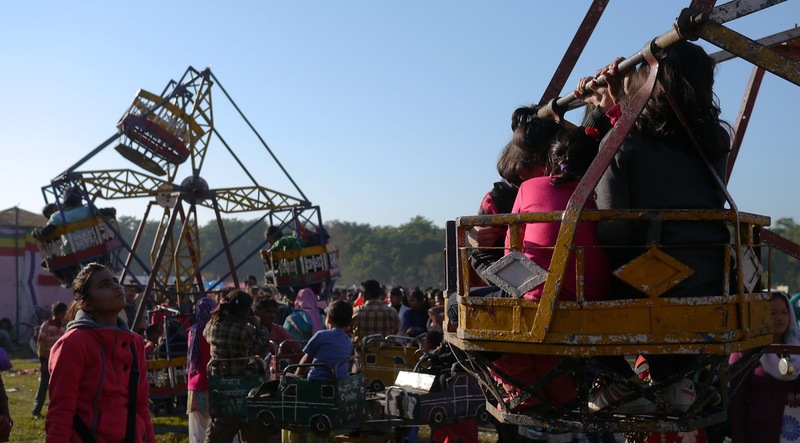 It was a packed house, with the mostly young crowd going nuts, like it was a Justin Beiber concert. The traditional dances were really cool, with a mixture of singing, music and some dances that bordered on martial arts. 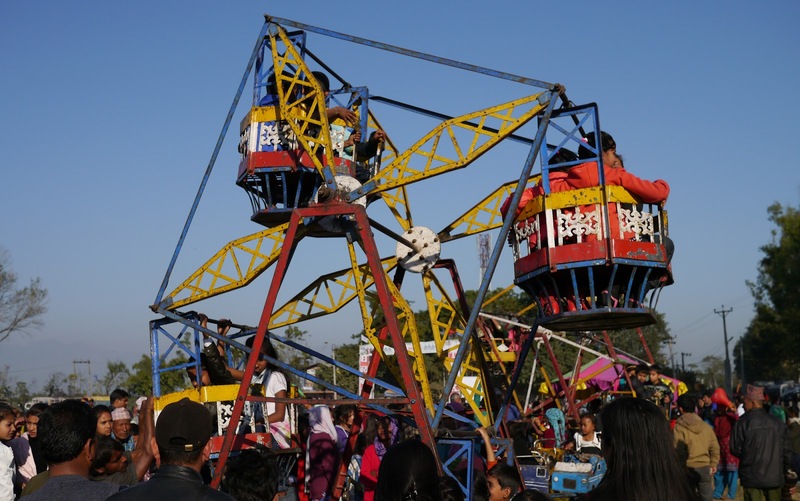 Pokhara, Nepal, Part 1: Merry Christmas! © 2012 Matt and Bree Ferrin. Powered by Blogger.